The evolution of Apple TV has been impressive and every edition brings something that improves the users’ experience with the device. While Apple remotes are noted for their advanced technology, they are vulnerable to damage, which is why it is important to keep them protected. The best solution is to get a case that can keep your Apple TV remote safe in case you drop it. 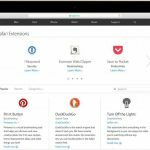 There are cases available for all Apple TV generations and here you will find the best options to consider. Apple TV remotes are quite fragile, even the fourth generation of Apple TV remote is prone to damage if it is not handled carefully. ActLabs has created a case that is simple, practical and that can help you to add protection to your Apple TV remote. The plastic case covers the back of the remote and its four corners completely. It features removable wrist straps that can be adjusted to suit your preferences. Thanks to its accurate design, it won’t interfere with the functionality of the Siri remote. It is available in multiple colors including Green, Blue, Orange and Black. Made out of silicone, Sikai is another practical solution to keep your Apple TV remote intact. It is available in Blue, Red and Green and it features a dust-resistant, anti-slippery design. It is perfect for Siri remote as it focuses on fourth generation remotes. There is a cover has a handle strap so it is easier to grip. The design is also set to make things more comfortable when you are holding the remote. Konsait offers another good option for fourth generation Apple TV remotes. This case can be attached to the back of your TV thanks to its good quality adhesive. You can get your Apple TV remote ready for use at any stage. The case features some strategically placed cuts that allow you to access the touch surface and charge ports. It protects the remote from dust and it is set to ensure that you can get a good grip of the device to prevent falls that could damage it. For something really different, consider StudioQ, a case made out of real wood. This beautifully crafted case covers the Apple TV remote completely and it comes with a kit with all the panels, buttons and strips. If you need to remove it, you can do it easily without leaving any residue. It looks stunning and it also protects the Apple TV remote from possible damage. This dustproof silicone cover is designed to suit the forth generation Apple TV remote. It is simple and you can easily slide your Apple TV remote into the case. This Chinatera cover for Apple TV remote gives you a solid grip to prevent accidental drops. It is available in Blue, Pink, Black and Orange. If you want something that doesn’t interfere with the appearance and color of the Apple TV remote, you may want to opt for Cosmos, a clear silicone cover designed for second and third generation Apple TV remotes. It is slimmer than other options available and it will fit the remote seamlessly. It will keep the remote safe in case of accidental falls. The Cosmos case can also prevent your remote from getting dusty or dirty. 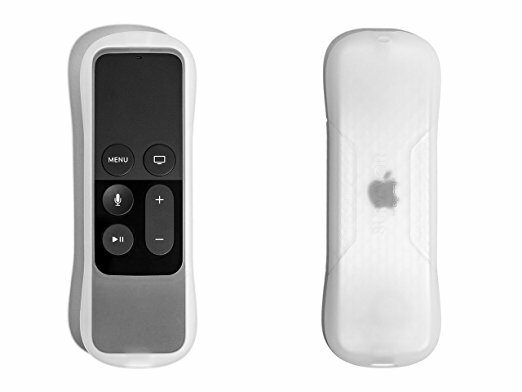 Thanks to its semitransparent design, it won’t modify the original appearance and feel of the Apple TV remote.